Assalamu Alakum! I am a 23 year old muslimah with a BA (Hons) Fine Art. I have always loved being creative and dreamed about using my skills for the ummah somehow. I love any opportunity for ajr and teaching children acts as sadagah jaria, so I sat one night thinking how to achieve just this! My idea was Jamaal and Layla. Who and what is Jamaal and Layla? Jamaal and Layla are siblings. They have one pet each. The lion looking pet belongs to Jamaal and his name is Momo. Mimi is the cute pink fluffy pet that belongs to Layla. The pets have fun with Jamaal and Layla, but advise them and offer information to help Jamaal and Layla become better muslims and understand what Islam and Islamic principles is all about. 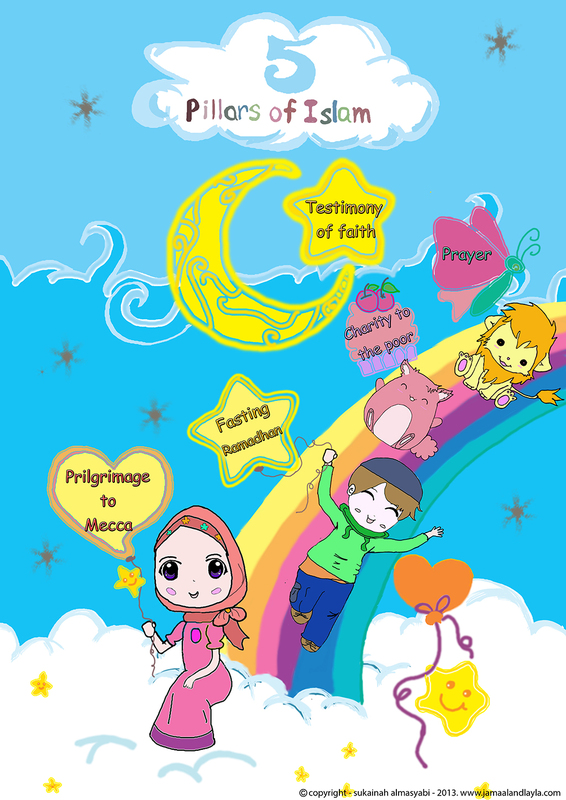 Jamaal and Layla was created for the muslim family, to help teach and guide children in a fun and loving way. Jamaal and Layla also helps children understand and love their muslim identity, and grow to learn with the characters and their pets! There’s enough Disney out there! 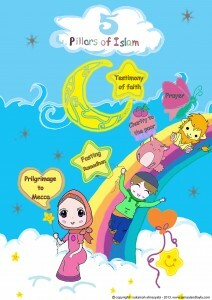 It’s time the children of this ummah had something fun yet islamic to relate to! ~ this is the inspiration that founded this idea! 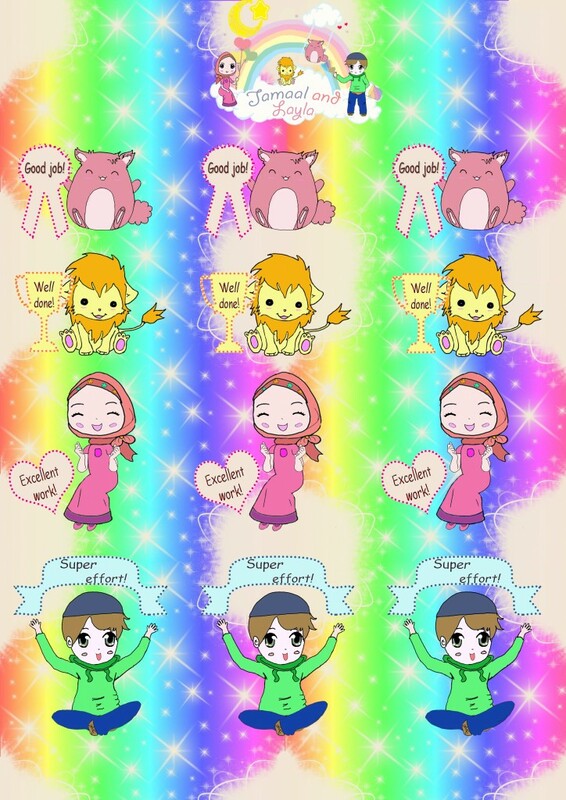 Jamaal and Layla is a fun new brand for children to enjoy and interact with, teaching them manners, ethics and most of all islamic principles. We also want to share our vision with the muslim parents and teachers who shape the children of our future! It’s important to encourage, motivate, and reward children on their efforts and achievements. I hope what I have created will be of benefit and will be used, unfortunately usually muslim clubs/schools regard such things as motivational stickers, posters, reward charts etc, as ‘a waste of money buying unnecessary things’ but this sort of thing is truly what lacks. We can’t complain about children not doing well, feeling unmotivated, or not enjoying these Islamic schools as much as their English schools and clubs, if we don’t want to invest in things like this or do anything about it! Jamaal and Layla also focuses on edutainment~ educating in an entertaining way! definitely what the kids need now-a-days! We want everyone to get to know and recognize Jamaal and Layla as a fun new brand to help every parent teach their children in the best and engaging way as possible! so with your help lets get Jamaal and Layla to be known as muslim characters that children and adults alike, will identify! If we have enough demand, we want to continue to grow and make Jamaal and Layla into a cartoon series, with a vast variety of products! “knowledge which is beneficial” means knowledge imparted verbally or by any other means through which people become better Muslims. As long as people benefit from this knowledge, the teacher will receive reward for it. 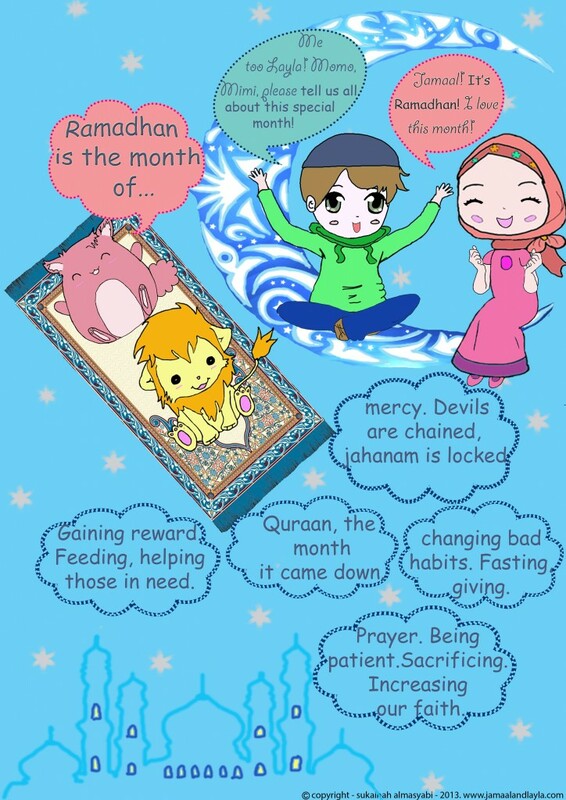 This entry was posted in Islamic Cartoons and tagged dua, islamic animation, posters by Rahmah Muslim Homeschool. Bookmark the permalink.